I have not always been a lover of poetry. I cannot say now that I love to read poetry, but I have experienced poetry’s healing properties. I learned the importance of reading poetry from Eugene Peterson. Reading good poetry and fiction is necessary to develop the kind of imagination that can appreciate the full depth of the Scriptures that shape our faith. The wolf shall dwell with the lamb, and the leopard shall lie down with the young goat, and the calf and the lion and the fattened calf together; and a little child shall lead them….They shall not hurt or destroy in all my holy mountain; for the earth shall be full of the knowledge of the LORD as the waters cover the sea. Isaiah is describing the reign of Messiah from the “stump of Jesse,” upon whom will rest the Spirit of wisdom and understanding. Messiah’s reign will not be marked by animals no longer eating each other and child leaders and destructionless mountain tops. Rather his reign will be marked by the kind of peace that comes from knowing the heart of God in a real and life-altering way. Not only does poetry help our study of the Bible, poetry may just be what we need to save us from the volatile, divisive, insane, ridiculous, angry public discourse taking place in this election season. When I open social media and scroll through my news feed, I wonder if people have indeed lost their minds. Crazy, angry words are polluting our collective consciousness with toxic hate. We need a way out. We need somebody to rescue us. One bright spot in this unstable election season is Christians, evangelicals in particular, have been given the opportunity to test what we believe. Is Jesus really Lord? Is the Bible the grounding narrative that shapes us? Do we take seriously the command to make disciples of the counter-intuitive, mercy-giving, humility-walking way of Jesus? Is our hope in the coming of the Kingdom whereby God will reconcile all things and make all things right? 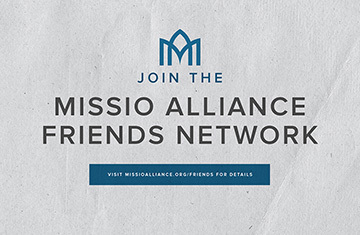 I appreciate Missio Alliance giving us space to confess our sins and reassert our commitment to Christ and the mission of the Church. If you haven’t read “A Confession by American Evangelicals Amid the 2016 Presidential Election,” please read it know and consider signing. In this poem, Berry writes about love and peace, and letting go of the idol of nationalism. Berry draws upon the beauty of creation to reconsider his Russian counterpart, not as an enemy, but as a co-laborer. Feel free to draw your own conclusions, but do not read it with too critical of an eye. Do not read it with your defenses up. Do not read it looking for things you disagree with. There is time for critical evaluation, but as with all forms of art, do not start there. Instead start with an open mind and heart. Find a quiet place and read these words. Read them multiple times. Read them aloud. Remain open until this poem speaks to you and then, if you must, evaluate what you are hearing. I invite you to read and listen. Perhaps God will grant you ears to hear. Perhaps these words can wipe clean your imagination.